« 1,000 Blog Posts. Thank You. Today is the 50th birthday of our First Lady, Michelle Obama, and she and her husband and daughters have a huge commitment to service. Serving and inspiring others to serve has been a paramount priority of their time in the people’s White House. The government has web tools for you to use in your neighborhoods and towns, to find projects and programs that need your contribution. 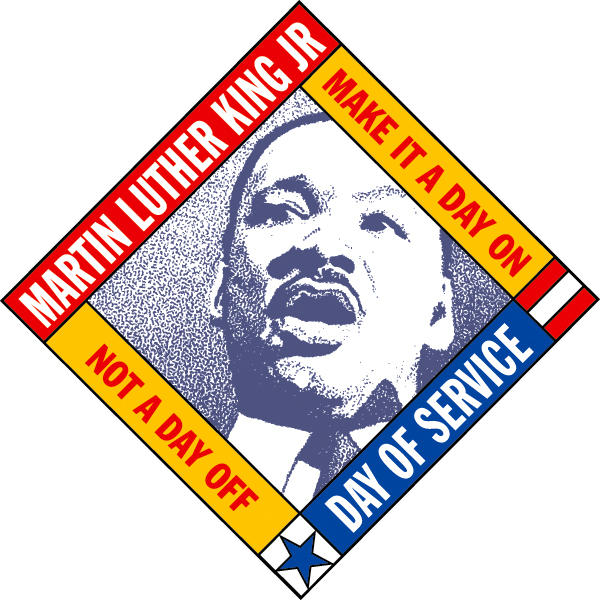 The MLKDay website has resources that are already serving the hundreds of thousands of people who will volunteer around the nation on Monday. Use the website as a jumping off place. I promise there are other day of service events and tasks in your immediate region, school, place of worship, block, etc. What’s that? You already made plans for Monday you can’t break? No worries–make a commitment to serve in the future. Next weekend. On your birthday. On your anniversary. On the day a loved one passed to honor them. Or on an ongoing basis. What if between now and Monday you found a brand new, exciting passion project that completely fires you up? It is out there–I can promise you that, and they truly need you and what you bring. You don’t have to be a certain age, have expertise, have physical abilities, have endless free time–none of that is required for you to contribute. Contribution can be a scary word–our brains go toward yet another request to open our wallets. What if you re-framed it and held the meaning of the word more closely to its intended use in language: the part played by a person or thing in bringing about a result or helping something to advance. What matters at the very root of it all is the contribution of your art, your passion, your enthusiasm, your voice, your ability to encourage and inspire others, your willingness to take a stand on an issue that matters to and moves you. Move things forward. Move US forward, for you truly have the ability (without spending a cent).